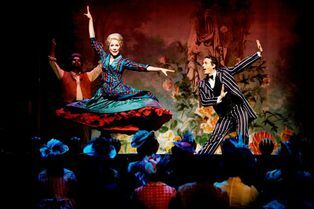 Set in America’s Deep South, the story begins in 1887 on the Cotton Blossom show boat as it sets sail on the Mississippi River. 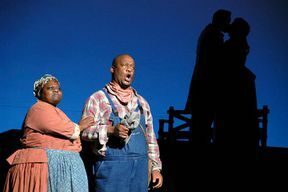 Following the lives of the performers, dock workers, musicians and stagehands over a period of forty years, Show Boat is rich with nostalgia, humour, love stories and well-loved melodies including Ol’ Man River and Can’t Help Lovin’ Dat Man. 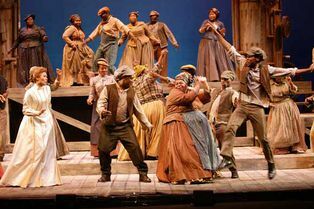 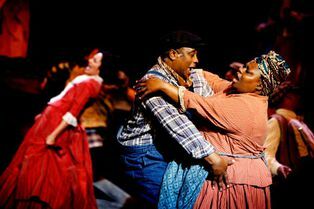 With all the glamour of the American-style big family musical and a cast of over 50 talented performers, Cape Town Opera lovingly bring this classic musical back to life alongside the Cape Philharmonic Orchestra. Show Boat: Salford is not available to book, please sign up to our newsletter for updates and offers on forthcoming and available shows. Where is Show Boat: Salford? Parking: Secure parking is available in The Lowry Outlet Mall multi-storey car park.